Update: Since the sunscreen ban was announced in Hawaii, the city of Key West has joined in the efforts of protecting marine ecosystems by banning the use of sunscreens containing oxybenzone and octinoxate. Consumers won’t even be able to purchase these products in the city limits. Thanks to everyone who has been involved in spreading the message about mineral based sunscreens as an environmentally and physically safe alternative. We’re sure other places around the world will also be passing bans. Stay tuned. Hawaii became the first state to ban sunscreens containing the chemicals oxybenzone and octinoxate earlier this summer. Hawaii Governor David Ige signed a bill into law which bans the sale and distribution of sunscreens in the state containing the chemicals, starting January 1, 2021. 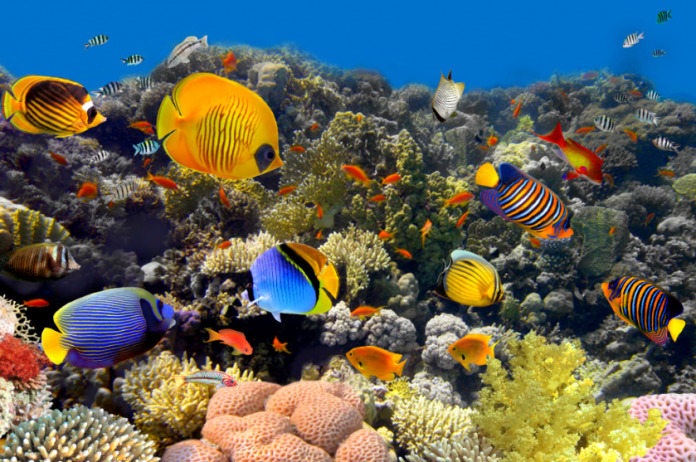 Both chemicals harm marine ecosystems, including coral reefs. The law is the first of its kind in the world. The law excludes prescription sunscreens that contain oxybenzone and octinoxate. Smithsonian’s National Museum of Natural History characterizes coral reefs as the “most diverse of all marine ecosystems,” possibly containing one-quarter of the world’s ocean species that depend on reefs for food and shelter. They cover less than one percent of the world’s surface and less than two percent of the bottom of oceans. Goddess Garden Organics, maker of natural mineral sunscreens and other natural skin care and personal care products, has played a role in Hawaii’s legislative ban on oxybenzone and octinoxate. The company helped by providing testimony in support of the bill in 2017, and writing to state senators and representatives urging them to support the bill. The Caribbean island of Bonaire, a municipality of the Netherlands near the Venezuela coast, is following in the proverbial footsteps of Hawaii. The island’s council voted unanimously to ban sunscreens containing oxybenzone and octinoxate. The ban will take effect on January 1, 2021.